The Humane Society International, supported by the NSW Environmental Defenders Office, applied to the tribunal to have a permit, issued by the Great Barrier Reef Marine Park Authority which allows Fisheries to conduct the shark control program, refused or varied. The tribunal handed down a decision on Tuesday which imposes new permit conditions, effectively immediately. 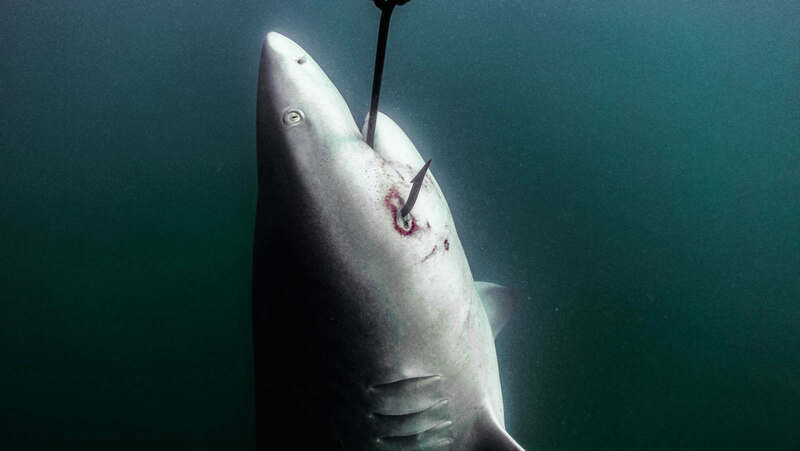 The tribunal ordered any sharks found alive on a drumline must be released unless euthanasia was warranted on animal welfare grounds, contractors must attend to caught sharks within 24 hours, and all tiger, bull and white sharks to be tagged before release. Non-lethal alternatives to drumlines must also be investigated. Fisheries Minister Mark Furner said contractors did not have the capability to immediately comply with the new conditions. "As a result, the decision has been taken to temporarily suspend the shark control program, within the boundaries of the Great Barrier Reef Marine Park," he said. This means hooks will be removed from drumlines on the Great Barrier Reef but the shark control program will continue in other areas of the Queensland coast, including the Gold Coast where drumlines are installed. Mr Furner said the government would appeal the tribunal's decision. "Shark control activities will continue as normal outside the marine park," he said. "This includes 37 drumlines and two nets at beaches along Townsville, Mackay, Yeppoon and Tannum Sands.